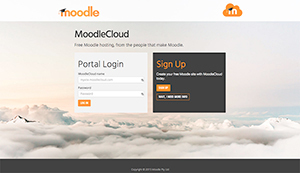 Moodle today introduced MoodleCloud, a service that allows anyone to deploy the Moodle learning environment for free — with no installation or hosting charges. Intended for individual classes of up to 50 users and other small learning environments, MoodleCloud provides the latest version of Moodle software (2.9.1), including integrated Web conferencing, delivered via Amazon Web Services. For more information, head to the Moodle site.